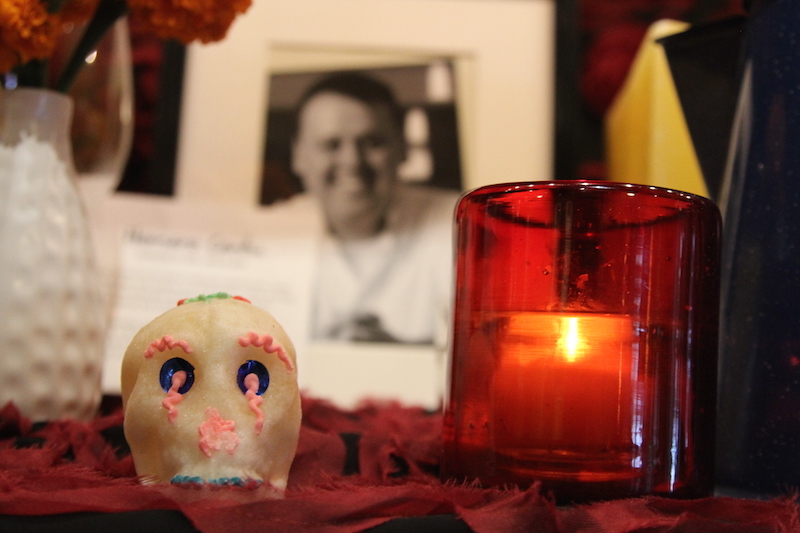 Each year, Frontera’s general manager Carlos Alferez creates a traditional “Day of the Dead” altar near the restaurant’s front entrance. 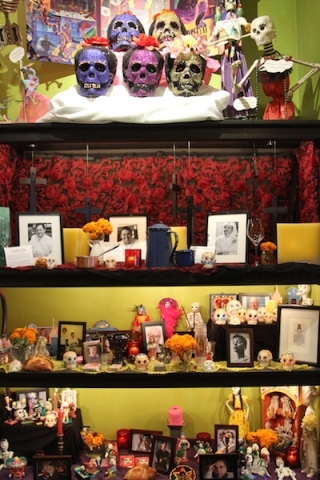 It’s an elaborate set up with candles, ofrendas of personal mementos, sugar skulls and photos of our dearly departed. 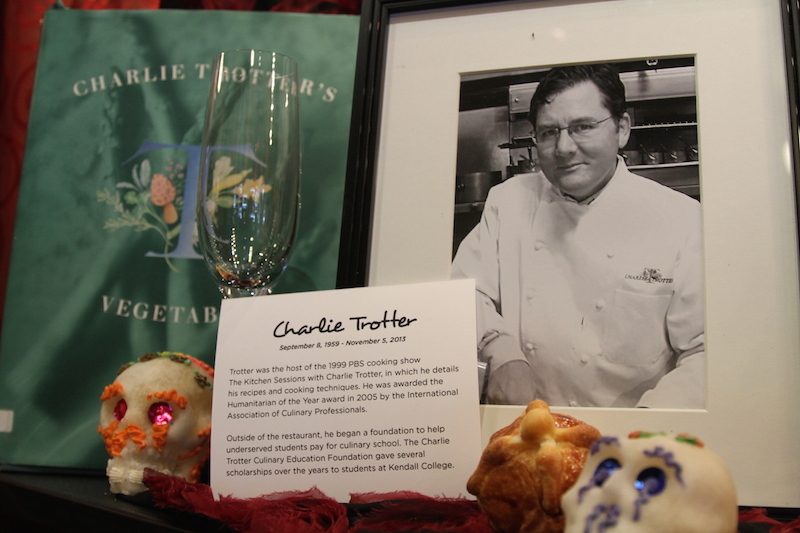 Along with contributions from our staffers, this year’s altar pays special homage to Chicago chefs Charlie Trotter and Homaro Cantu, and Louisiana gourmand Paul Prodhumme — all legendary personalities who left the culinary world far too soon. 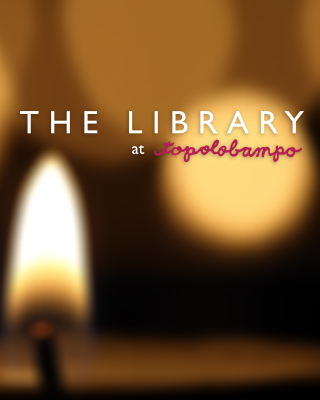 It’s a time to remember those we love, a time that’s at once solemn and festive. Above all, the altar is a good reminder that we’re all here for a short time and life is best lived surrounded by friends and family. 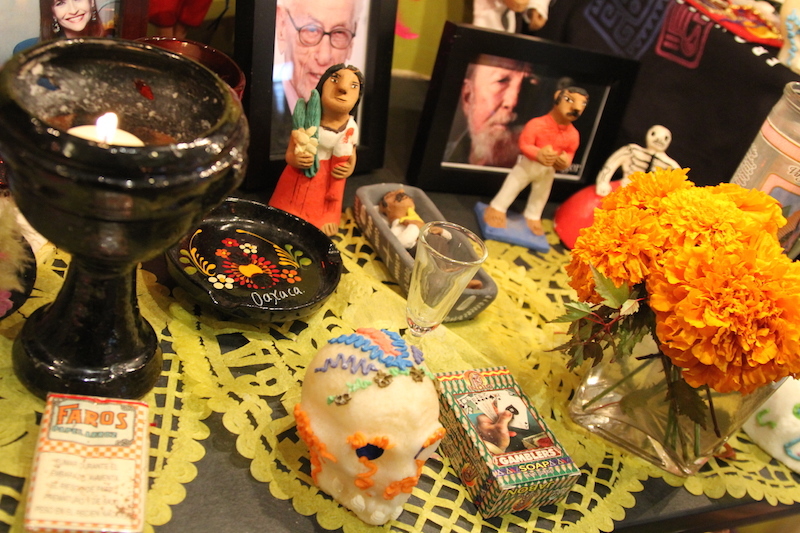 So in that spirit, here are some of our favorite Día de Los Muertos recipes for your seasonal gatherings. 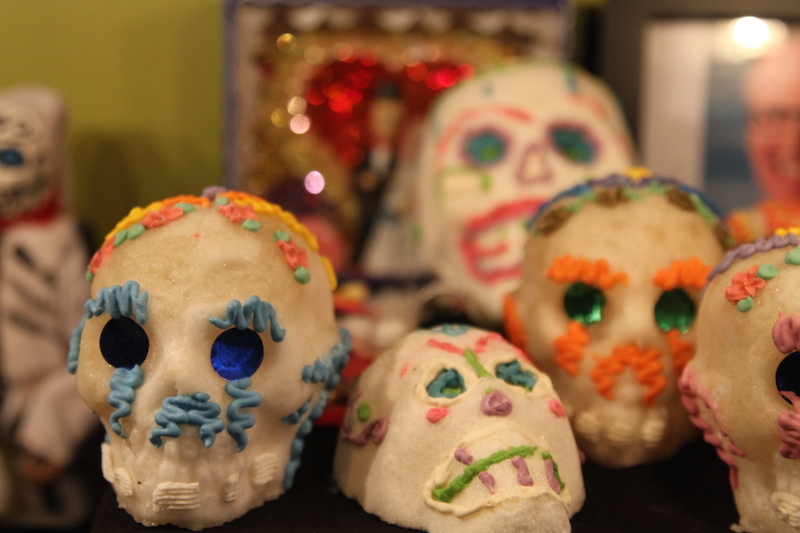 And below is Rick’s YouTube recipe for Pan de muerto, a buttery-rich egg bread that’s traditionally baked near the Mexican holiday. 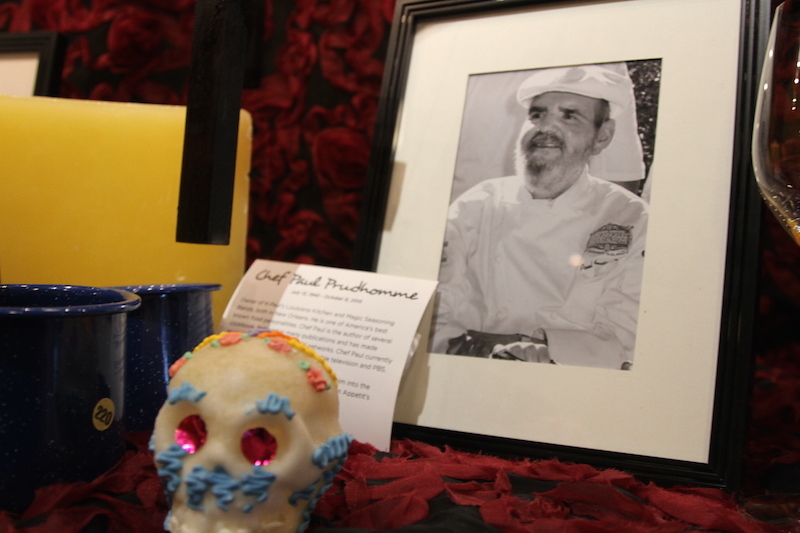 It’s also a good time to point out that Frontera and Topolo’s pastry chefs have a version Pan de muerto on the dessert menus. Theirs is infused with warm piloncillo syrup, brandied fruit, calabaza en tacha (red kuri squash slow-cooked with raw sugar) and served with pumpkin ice cream, spiced cookie crumble and candied pumpkin seeds.